Flipcause Reports are split into the following categories. Read below to learn about when you'll want to generate reports in each category. These reports are generated in the "Merchant Account" sub-tab "Merchant Account Records & Reports". Here, you can pull a report of your Posted Records (including Received Amounts, Fees, and Transfers), and/or your Pending Records by date range. 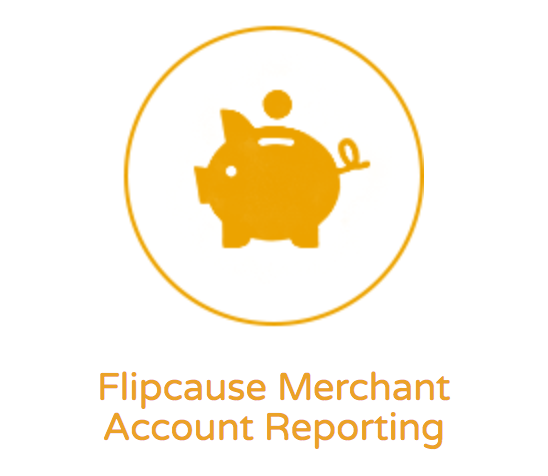 Merchant Account Reports include all records that are processed through your Flipcause payment gateway and all associated debits and credits to your Flipcause Merchant Account. Manually recorded offline payments are NOT included in this report. Merchant Account reports are meant specifically for accounting and bookkeeping use, and are similar to reporting on posted/pending records you can access through your online bank. The "Description" field in this report includes relevant information for each record, including supporter name, transaction type, and the associated campaign name and ID at the time the transaction occurred. Please note that no edits or changes may be made to this report, as it contains timestamped financial information. The transaction report is a high level performance-tracking report where you can access data about full transactions. Full transaction records are composed of subtotals and totals from individual activities within a transaction/order, such as donations, registrations, item purchases etc. Full transaction reports contain data about fees paid to Flipcause, total amounts received by your organization, and total amounts charged to supporters. Learn more about the difference between Transaction and Activity reports here. These records can be filtered down for your specific reporting needs. A common report that can be accessed from the Transaction Report fields is "Amount Received on Flipcause for Campaign X (including Processing Fees)". Click here for instructions on generating this report. Actions: Actions that can be taken from the Transaction reporting section can be accessed on the "Details" overlay of any Transaction record. These actions include: refunding all or part of a transaction, cancelling items within a transaction, sending messages, adding notes, downloading receipts, and resending confirmation receipts to supporters. 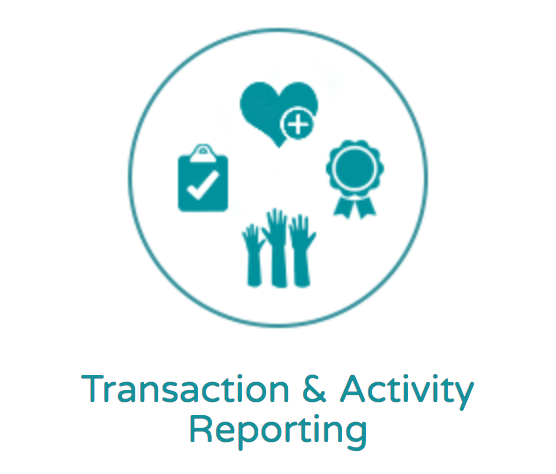 An Activity report contains data for a specific activity or action taken within a full transaction. The different kind of Activities on Flipcause are: Payments (donations), Registrations (event RSVPS/ticket purchases), Volunteer signups, Online Store (item) orders, Sponsorship (rewards) orders, and Mailing List Sign Ups. The Activity reports are useful to view data about individual specific items within a Transaction. For example, activity reports contain a record for each participant that has registered for an event, each item type that is sold in your online store, each volunteer that registers, etc. This type of report provides insights into your "Subscribers" or recurring donors, including both active and inactive statuses. (On Flipcause. 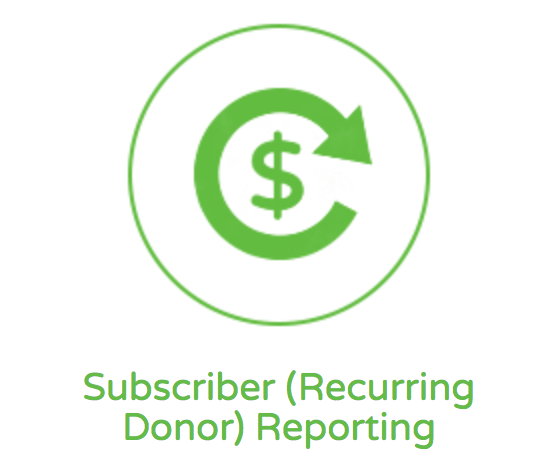 "Subscriber is used interchangeably with "Recurring Donor" or "Recurring Supporter", indicating that that person is a subscriber to your organization with a recurring payment or donation set up.) This report type allows you get information about your Subscribers including first payment date, last payment date, total number of transactions, status, total amount paid/donated, and total annual donation amount, based on frequency. The stats that are readily available for each Subscriber record on the "Details" overlay are shown below. Actions that you can take from the Subscriber Details overlay include sending the subscriber a message, adding a note to the record, and resending the subscriber sign-in link, which they can use to edit personal information and payment details. This reporting section can be initially filtered into two report types: "Peer" and "Team". 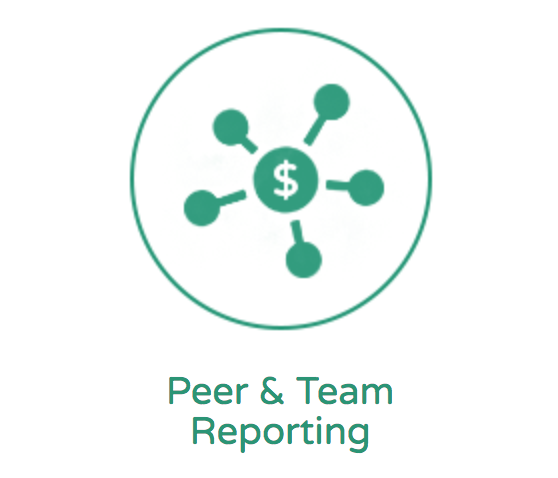 The "Peer" report generates records of your Peer-to-Peer fundraisers across all campaigns. The "Team" report generates records of all Teams that have been set up within your Peer-to-Peer campaigns. Team reports include details on the team level, including the Team Captain(s) and aggregate data of amount raised by all individual peer fundraisers within that team. Peer reports allow you to view each peer's rank, amount raised, number of transactions, and more about that specific peer. Stats that can be found on both Peer and Team records "Details" overlay include Transactions, Amount Raised, and Campaign Rank. Actions that you can take per Peer record include "Send Message", "Add Note", "Assign/Reassign CID (Contact ID)", and "Resend Sign-In Link", where the Peer fundraiser can edit their page details. 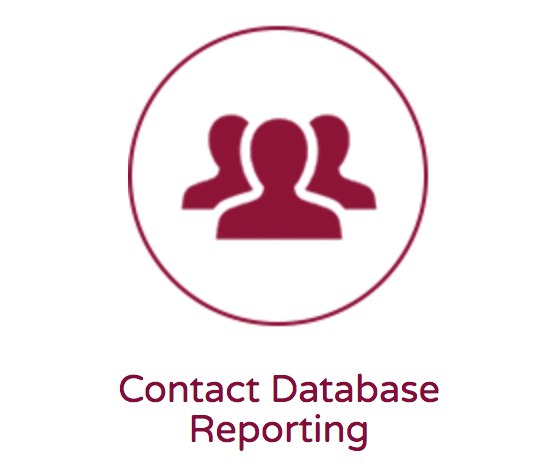 The Contact Database Reporting section is where you can generate reports for Individual/Business contacts and Groups that live within your Flipcause CRM. Similar to Peer/Team and Subscriber reports, these reports are composed of records of people, not records of individual transactions or transactional activities. Contact reports are useful to get insights on a Contact's most up-to-date personal information and stats from your CRM. All of the "Primary" fields in your CRM's Contact Profiles output to the Contact report. Contact reports can be filtered and exported for import into your email marketing software, such as Mailchimp, to send segmented emails to your supporters. "Groups" are groupings of individual Contacts within the CRM. Group types include Household, Foundation, School, Class, Religious Organization, etc. Group reports contain aggregate data from all contacts that live within that group. Groups have their own personal information, such as group email, address, and phone number, and there is a primary Contact assigned to each group. Group reports are useful to filter and export for direct mailers, as you likely don't want to send a mailer to all individual contacts within a Household or Group. One action that can be taken on each record of a Contact or Group report is viewing that Contact or Group profile to add information and edit data.